Originally published in The Official Ionic Blog. 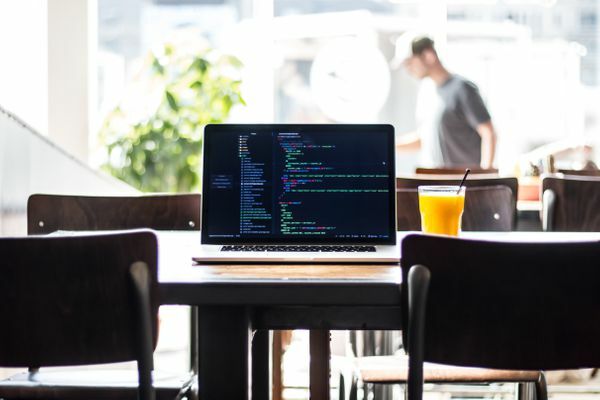 We have been using Ionic at Savelist since the first alpha versions, and always thought that one of its strongest benefits is the ability to code an app for iOS, Android and the Web with a single codebase. Heck, we even use Ionic to build our browser extensions! When we went through the process of launching the Savelist Progressive Web App in January (2017), we noticed that even though it looked as expected on mobile – as we started with a “mobile first” approach – it didn’t look quite right on the larger displays of laptops and desktops. Navigation bars and content were too wide and since most content was aligned to the left, there was too much white space on the right of almost all our screens. It felt more like the maximized version of our Android app than a website. This guide is based on the latest release of ionic-angular at the time (3.9.2). If you’re using an older version of Ionic, I strongly recommend you to update to the latest release. Ionic has a great grid system based on flexbox that we can use to adapt content and make it responsive. It’s incredibly customizable, and we can define custom grid widths and breakpoints for every resolution. First, we limited the grid width in order to make the content easier to navigate. For our needs, all we had to do was removed the xl breakpoint. Ionic handles this without any issues. You could use any other size you’d want for this, as long as the value lgfrom $grid-breakpoints matches. In order to apply a max-width to our pages, we just wrap the markup inside <ion-content> with <ion-grid fixed>. The fixed attribute tells Ionic’s grid to use the max-width corresponding to the current breakpoint, or 100% if not defined. We don’t need to apply this to pages that are displayed inside modals or popovers, as they already have a fixed width. If there is any <ion-toolbar> inside <ion-header> or <ion-footer>, you may want to add the fixed attribute to center them, like <ion-toolbar fixed>. While users are used to having tabs at the bottom in mobile apps, desktop webs usually show them at the top for better usability and navigation. Well known apps like Twitter, Pinterest and Instagram all use tabs at the top for their desktop experience. You can check the different placement and layout options in the Tabs docs. 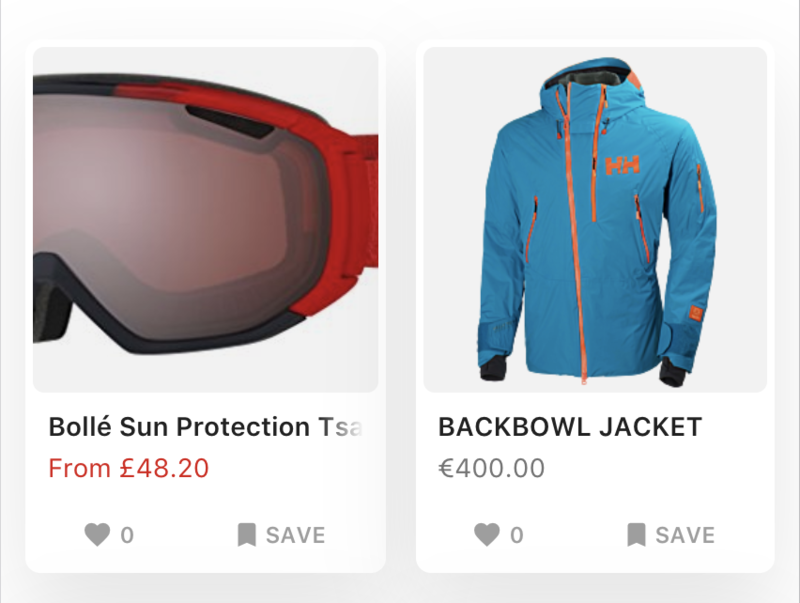 One of Savelist’s key features is the ability to show all the products you have saved from the web in a clear and organized layout, so cards in a responsive grid was the best way to go in displaying that information. This option lets you have one or two cards per row on mobile, and more cards as the screen gets bigger. Cards don’t have a fixed width and make the best use of the available space. Rows will start with 2 cards on xs and sm, 3 cards on md and 4 cards on lg and above. We have addressed the biggest points of adapting the PWA “app shell” to big screens. However, you may still notice some items that you want to show differently, like font size, images, UI, etc. Another way is to show or hide elements according to the platform type instead of the screen size with showWhen and hideWhen. You can use the value core to target desktops. This was just a few of the changes we made to Savelist in order to look better on larger screens, but I’m sure there’s more ideas out there. I’d love to know what tricks you have in your bag with working with Ionic, so leave a comment below! Generating a static site from a local Ghost blog with wget instead of Buster and hosting it at GitHub Pages.